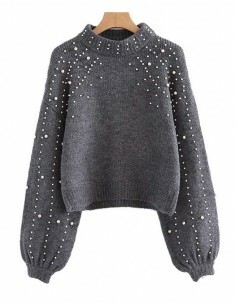 'Aubree' beaded cropped gray sweater features long sleeves. 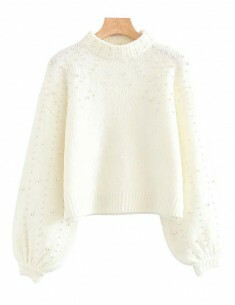 Sizes will vary by style, please comp..
'Aubree' beaded cropped white sweater features long sleeves. 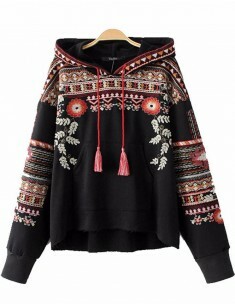 Sizes will vary by style, please com..
Embroidered tassel hooded sweater features sequined floral pattern. 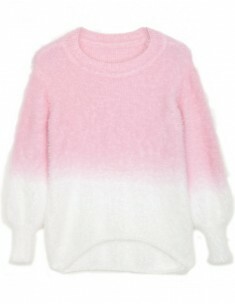 Sizes will vary by style, ple..
'Virginie' gradient fuzzy sweater features crew neck and long sleeves. 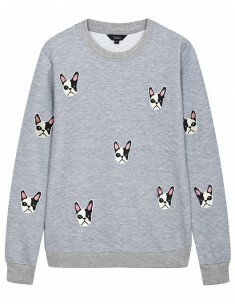 Available in one size: Len..
Dog print slim quilted sweatshirt with long sleeves. Available in black, white and grey. 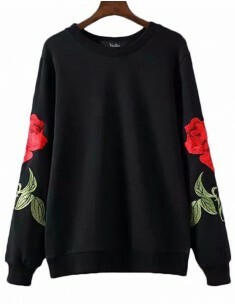 Sizes wi..
'Kayla' floral black sweatshirt features long sleeves and o-neck. Sizes will vary by style, pleas..
Casual knit stretchy sweater featuring deep lace up neckline. Available in black & grey. 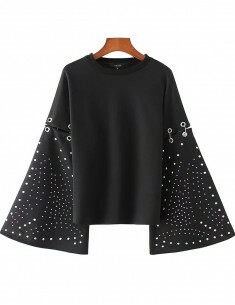 Size..
'Kiara' studded black sweatshirt in black features o-neck and long flare sleeves. Sizes will vary..